Re: Datum highlight from model tree? Datum highlight from model tree? 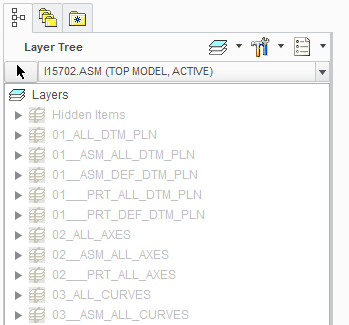 I want to highlight a datum plane or datum axis in my model by selecting them from the model tree. 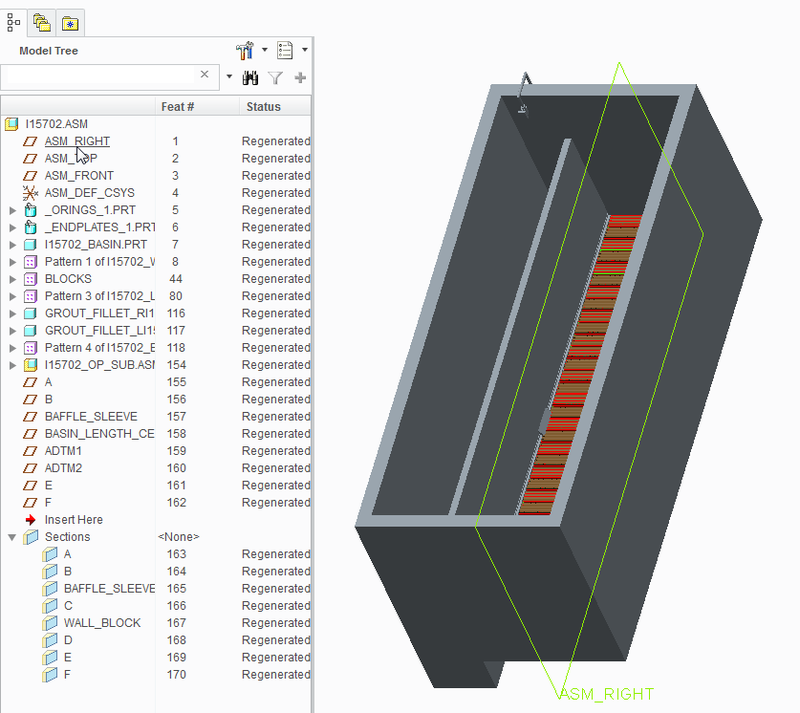 They do not show in the model when selected from the tree unless I unhide/show all the datum planes/axes. Is there a setting that can be changed so that datums become highlighted when clicking on them from the model tree? typically all of the datum's "planes, axis, points, coordinate systems... etc" are on layers. 1. leave these layers hidden. 2. Go to the "view tab set the display of "planes, axis, points & coordinate systems" to on. 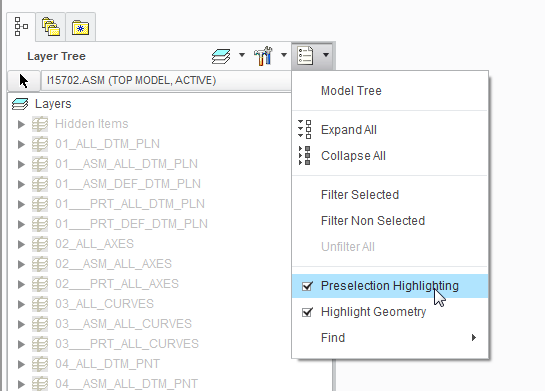 3. in the model tree preference setting select preselection highlighting. Thanks for the detailed answer, this makes complete sense! It doesn't seem that my default settings are hiding all the datums on the datum layer, I guess I'll have to set this up in the configs options and/or in my master part template. I use layers a lot in my workflow but have never realised that by hiding/unhiding the datums in the layers rather than in the toolbar that one can get this functionality.